Revelstoke Bear Aware is always looking for enthusiastic volunteers to help with a variety of tasks. Please email our Revelstoke Bear Aware Coordinator, at info@revelstokebearaware.org if you are interested in volunteering in any of the ways described below. 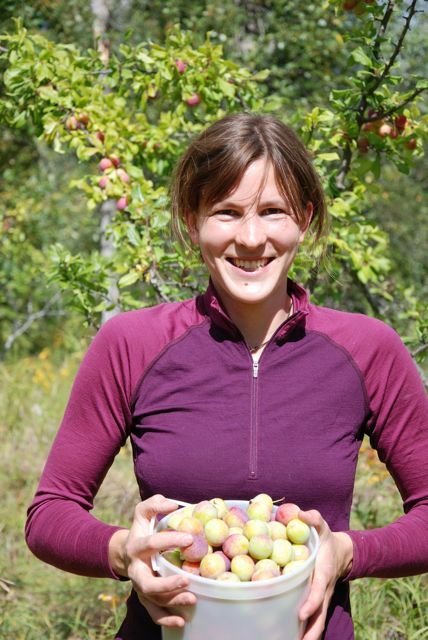 The Gleaning Project helps to reduce bear attractants by gathering fruits and vegetables from our community. Residents with excess fruit can contact Revelstoke Bear Aware to arrange volunteers to harvest fruit. The volunteers receive some of the fruit and the remaining fruit is donated to fresh to Community Connections Food Bank or is preserved by the North Columbia Environmental Society’s Canning Project before donation to the Food Bank. Bear Aware provides introductions between those who have a fruit tree but cannot manage it, and those who want to look after and harvest a fruit tree. If you are interested in adopting a tree or have one you cannot manage, please contact us at info@revelstokebearaware.org. Tagged garbage was put out too early. Garbage is the number one bear attractant in Revelstoke. The City of Revelstoke’s Garbage Collection Bylaw #2006 restricts garbage being placed on the curb outside the hours of 6:00 a.m. and midnight on the day of collection. To conduct garbage tagging, the Revelstoke Bear Aware Coordinator and volunteers go out the night before garbage day and tag garbage cans that have been placed on the curb. 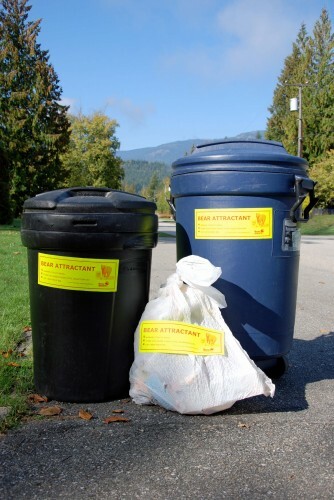 A bright yellow sticker is placed on the can that states “Garbage Attracts Bears” and “Store containers inside until collection day.” Garbage tagging is a successful tool to remind residents about storing garbage properly to avoid attracting bears into our community. Revelstoke Bear Aware initiates door-to-door education campaigns focused in areas with high or potentially high bear activity. Volunteers will be trained in ways to advise the public and distribute Bear Aware information. 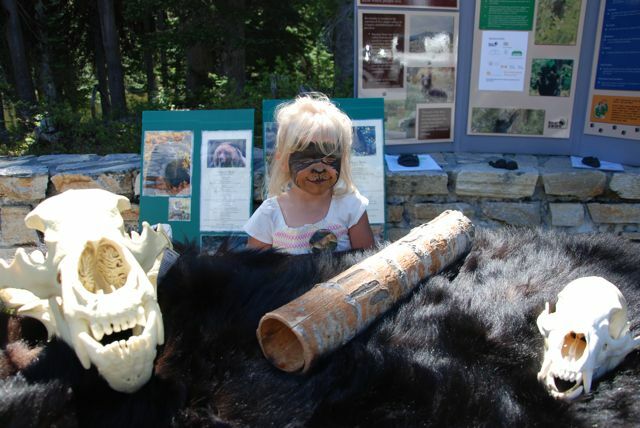 Revelstoke Bear Aware delivers many community presentations and also attends many public events and festivals. Volunteers are needed to help staff public displays. 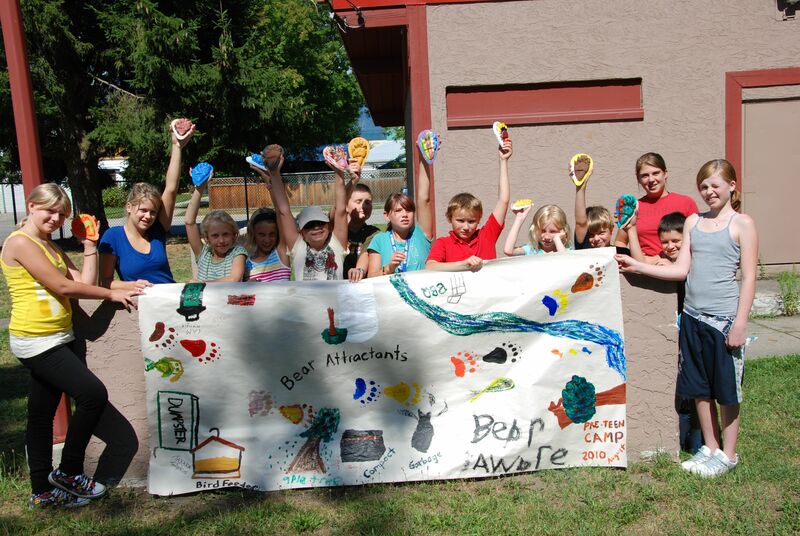 Bear Aware volunteers work hard, and are much appreciated! If you are interested in becoming a volunteer, even for a day, please contact us at info@revelstokebearaware.org or 250-837-8624.